Model 300 CLD Analyzer continuously measures total concentration of oxides of nitrogen within gaseous sample. Method is based upon chemiluminescent reaction between ozone and nitric oxide (NO) to form nitrogen dioxide and oxygen. Features include 8 switch selectable ranges from 0-3 ppm to 0-10,000 ppm NO/NOx, critical flow orifice flow control, and digital diagnostics. 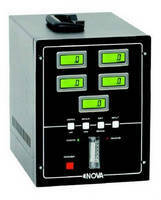 The Nova Model 300 CLD Analyzer is designed to continuously measure the total concentration of oxides of nitrogen within a gaseous sample. The sample can be ambient air, exhaust gases from an internal combustion engine, gas turbine or from a combustion process. The Model 300 CLD utilizes the principle of chemiluminescence for analyzing the NO/NOx concentration. The method is based upon the chemiluminescent reaction between ozone and nitric oxide (NO) to form nitrogen dioxide (NO2) and oxygen. 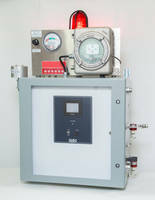 Features include 8 switch selectable ranges from 0-3 PPM to 0-10,000 PPM NO/NOx, automatic high voltage shut down with loss of ozone/air, complete digital presentation including sample and air pressures (no gauges), critical flow orifice flow control (no capillaries), digital diagnostics and 19-inch rack mount cabinet. 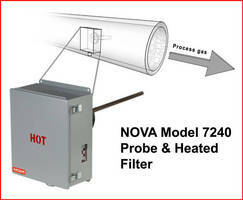 DuraNOVA Continuous Gas Analyzer features multi-point capability. Transportable Biogas Analyzers take simultaneous measurements. 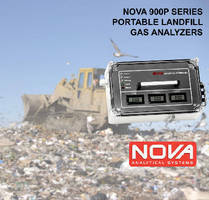 Landfill and Biogas Analyzers feature portable design.